" ...I organized a business meeting. Strategic location, but the real value is the staff ... And we also ate well... "
The Mastai Hotel was created to become a place for meetings and conferences. 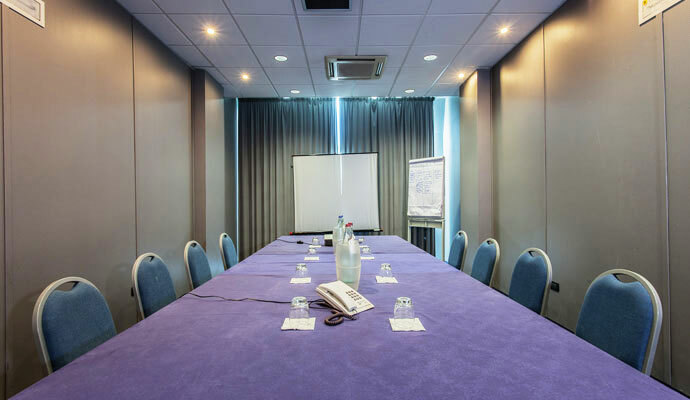 It has 7 meeting rooms provided with the best services and the latest audio and video technologies, as well as free high-speed Wi-Fi. 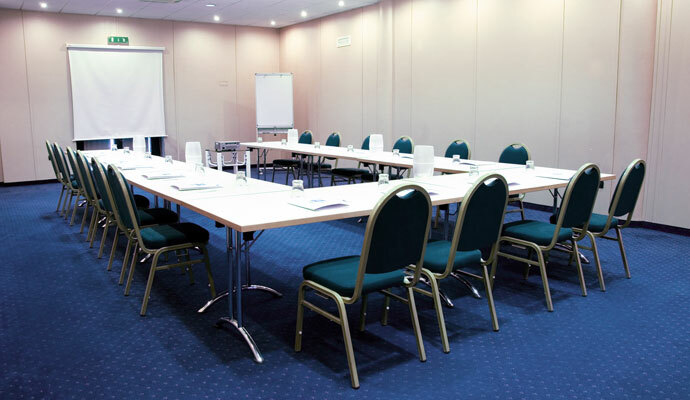 The size of the meeting rooms varies in order to match every need: 5 rooms can fit 30 people, and 2 rooms up to 75. Large Car park , bar , hospitality and Catering service complete our offer. The room is ideal for your business meetings. Equipped with all multimedia equipment, it can be set up according to your needs, with imperial table, horseshoe or theater. Amplification, and overhead projector are at your disposal to make your presentations more incisive. 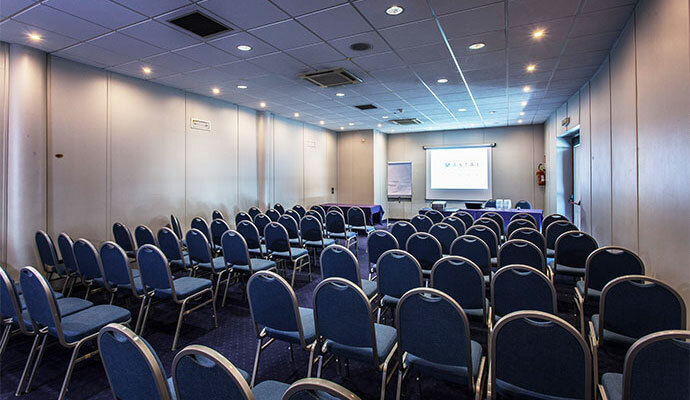 Ideal for medium-sized conferences, meeting rooms from 75 seats will offer everything you need to make your own unique presentation. Chairs arranged in rows to allow all participants a clear view on the screen and the speaker’s. Amplification is specially designed to optimize the acoustics of the hall and prestigious furniture gives a calm sobriety and sophistication. A large car park is available to guests, who can also enjoy the bar in the hall. Possibility of setting up registration table at the entrance, coffee breaks and cloakroom. Do you want to make unique your event? The restorative aspect can make the difference in a meetings . We can advise and prepare the buffet, lunch or dinner gala in line with your needs.